Can certain foods help you lower your cholesterol? Absolutely! 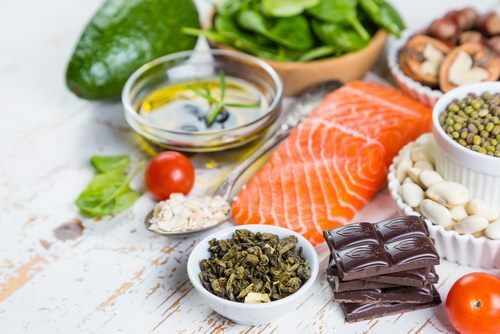 Although it might seem challenging to change the way you eat, everything on this list of cholesterol lowering foods will help you improve your outlook. Besides offering a list containing more than 300 of the best foods to reduce cholesterol, this guide provides insight into the benefits that come with following a low-cholesterol diet, plus snack ideas and easy lifestyle strategies for getting your numbers into a healthier place. You should know that there are no known risks associated with following a low-cholesterol diet. As part of a healthy lifestyle, this way of eating allows you to enjoy a vast variety of foods from every group while emphasizing heart-healthy choices. This extensive list of cholesterol lowering foods includes items that contain little or no cholesterol, saturated fat, and/or trans fat such as hydrogenated or partially-hydrogenated vegetable oil. All three of these substances can increase your blood cholesterol. 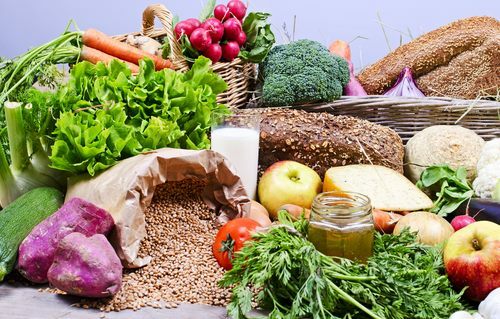 Additionally, you’ll find foods that are high in soluble fiber, which binds to cholesterol particles inside the small intestine and prevents it from working its way into your bloodstream. Since poultry with skin and fatty cuts of meat contain high levels of saturated fat and cholesterol, you’ll want to avoid these completely. The good news is that there are many lean meats available, should you decide to include them in your diet. Check labels to ensure that the meats you choose are at least 96% fat free, and be sure to trim any visible fat before cooking. Pay close attention to serving sizes, and aim for no more than five ounces of fish- or animal-based protein per day. Freshwater fish, saltwater fish, and certain shellfish are often excellent choices. According to the American Heart Association, it’s a good idea to consume omega-3 rich fish at least twice weekly. Herring, mackerel, salmon, sardines, and tuna are excellent choices. Others are good, low-cholesterol options as well. Be sure to remove skin and trim visible fat as you prepare your seafood, and when opting for tinned varieties, look for those canned in water rather than oil. 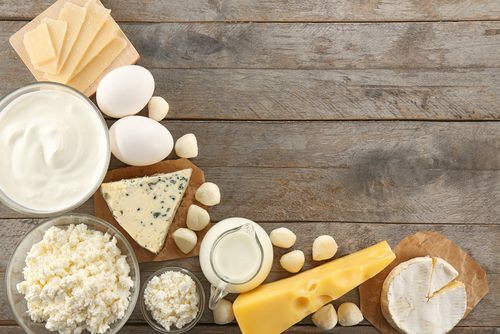 Because egg yolks and whole-milk dairy products contain high levels of saturated fat and cholesterol, you will want to strictly limit or even avoid them completely. Plant-based alternatives are beneficial, and they are delicious. Try them: You’ll be pleasantly surprised. Fats from animal sources – including butter and lard – are noticeably absent from this food list. Cholesterol lowering oils are included, however plant-based oils such as palm oil and coconut oil are omitted due to the high levels of saturated fat that they contain. Because vegetable shortening contains trans fats, it is also omitted. As a general guide, heart-healthy fats are those that remain in a liquid or mostly liquid state when refrigerated. When reading labels, look for foods that contain monounsaturated fat and/or polyunsaturated fat. Both of these are cholesterol lowering fats. 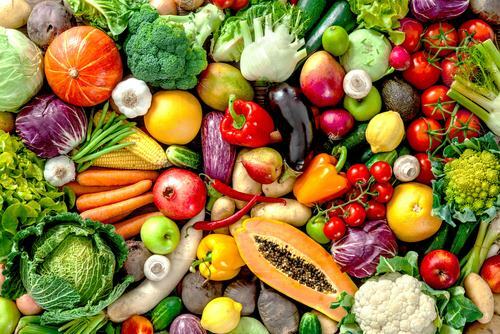 All vegetables offer benefits, so try to incorporate them into every meal and eat as many colors as you can each day to improve your nutrition. This cholesterol lowering foods list is an extensive one, with more than 50 delicious vegetables to enjoy. Don’t be afraid to try veggies that are not included; so long as they don’t come with cheesy sauces or additives such as lard, rendered fat, or meat, they are likely to provide benefits. Try to place an emphasis on dark leafy greens and bright orange veggies such as butternut squash and sweet potatoes. 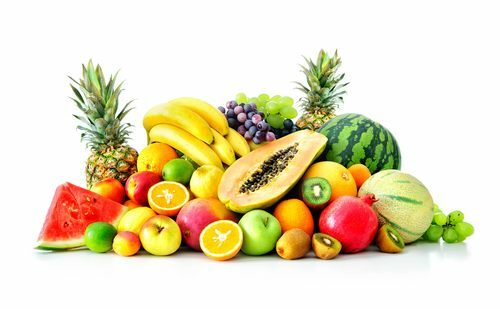 Like vegetables, all fruits have cholesterol-lowering benefits to offer. Because fruit contains sugar, you’ll want to keep your intake at a reasonable level, particularly if you are trying to lose weight. This list offers 50 choices, and there are many others to try, too. Focus on fresh and frozen fruits, and enjoy small amounts of dried fruit as well. If your only alternative is canned fruit, choose options that are canned in juice instead of sugary syrup. Whole grains are among the best foods for reducing cholesterol, so you’ll want to enjoy them as often as possible. Be sure that packages say “whole grain” and double check to ensure that most options contain soluble fiber. Whole grains stick with you longer so you feel full, particularly when you combine them with other high-fiber choices like vegetables, fruits, legumes, seeds, and nuts. 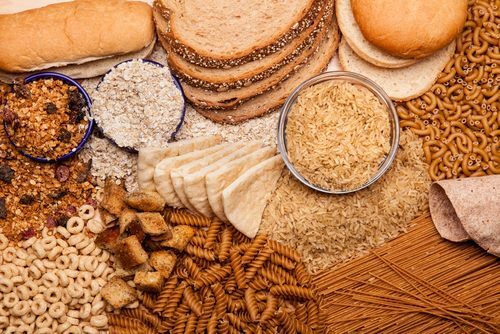 Look for crackers, breads, bagels, wraps, pasta, and tortillas made with the following grains, and enjoy the grains on their own or mixed into recipes. 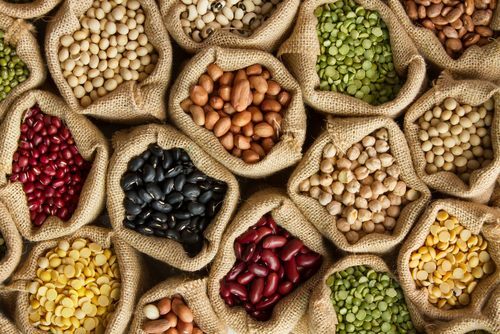 Like vegetables, fruits, and whole grains, legumes are an excellent source of soluble fiber, plus they’re high in protein. Eat one cup of legumes daily, and you could lower your cholesterol by up to ten percent over the course of six seeks. Many people are reluctant to include legumes in their diets out of concern over excess gas and bloating. While this can be a problem at first, your body will adjust. Try taking Beano if you’re worried about legumes and other foods that contribute to flatulence; it contains natural digestive enzymes that keep gas from forming. Dried, frozen, and canned beans are all great additions to your diet. If you choose canned varieties, opt for low-sodium versions and rinse them well to remove excess salt. Use them to make dips, sandwich fillings, soups, chilis, and more. Nuts and seeds are brimming with soluble fiber, and they’re a great source of plant-based protein, healthy fat, vitamins, and minerals. While nuts contain some saturated fat, they’re also an important source of plant sterols, which help reduce cholesterol. Use portion control with your nuts and nut butters, and be sure to read labels as you shop, since many types contain undesirable additives like trans fat, lots of salt, and added sugars. Your body will thank you even more for purchasing raw nuts and then seasoning and roasting them yourself! Seeds are a great source of Omega-3 fatty acid and other beneficial compounds, so try to incorporate them into baked goods, salads, and other foods as often as you can. Herbs and spices help you cut back on salt while adding flavor to your food. The same can be said of vinegars and other condiments. While you don’t have to cut salt completely, doing so can help you keep your blood pressure at a healthy level, benefitting your heart and making it easier for your body to function properly. This list contains 60 choices to try – and there are many other options to explore! Next time you’re shopping, see what’s on offer and consider trying something new. You’ll notice that several soy products are included in this cholesterol lowering foods list – and for good reasons. Whole soybean products contain phytates, isoflavones, and protein, all of which combine to help reduce your cholesterol while treating you to satisfying protein. Tofu has a bad reputation as boring, bland, “hippie” food. Learn to prepare it properly by pressing out the excess moisture, marinating it in something tasty, and baking it or crumbling it into recipes, and you’ll be pleasantly surprised. According to the FDA, consuming at least 25 grams of soy protein daily helps lower high cholesterol – so give it a chance! Vitamins and minerals: Because you are cutting back on animal products, you’ll want to supplement with vitamin B12 at a minimum. You may also want to supplement iron and calcium. A good daily multivitamin is often sufficient; check with your doctor or meet with a nutritionist to see if there are any others you should take. It’s very important to keep hunger in check as you change the way you eat. You’re probably familiar with the feelings of temptation that pop up when old, unhealthy favorites are available; it’s far easier to resist when you’ve already filled up on beneficial foods. Consider switching to a plant-based diet, either temporarily or permanently. Many people are concerned that their health will suffer if they omit animal products, however the opposite is true. Plant-based proteins are among the best items on the cholesterol lowering foods list, and focusing on them can help you regain health quickly. As an alternative to a total switch to plant-based eating, you might consider following a clean vegan diet every other day or five days per week. Even a “Meatless Monday” habit will help. All of these strategies provide excellent benefits, and you can easily supplement with iron and B12 to ensure that you are getting all the nutrients you need. Eat frequently. 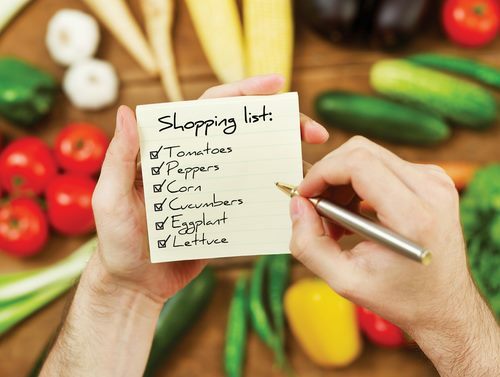 Skipping meals can lead to hunger and increase the likelihood that you’ll make poor food choices later in the day. Eat a wide variety of foods each week. Try to eat more than five servings of vegetables daily. Keep track of your daily calorie intake with an app like SparkPeople or My Fitness Pal. Losing excess weight is a good way to work toward reducing your cholesterol. There’s no need to resort to extreme dieting; instead, find a calorie level that is comfortable for you and reasonable for your lifestyle. Start exercising. Begin where you are, and gradually increase your activity level. If it has been a while since you last engaged in intentional movement, you should talk with your doctor about the best course of action. Easy activities to try include walking, slow bicycling on flat terrain, simple stretching, swimming, and yoga. Try to exercise a little each day. Cut back on alcohol, which is full of empty calories. Celebrate special occasions with a heart-healthy choice such as a glass of red wine, if you like. Reduce your sugar intake and watch out for fast-acting carbohydrates, which rapidly turn to sugar in your bloodstream. High sugar intake increases your diabetes risk as well as your risk of heart disease. According to The American Heart Association, women should have no more than 6 teaspoons of sugar (100 calories worth) daily, and men should aim for no more than 9 teaspoons of sugar (150 calories worth) daily. Cut major culprits like cookies, desserts, candies, soda, and other sweetened beverages for a quick fix. Have your cholesterol checked regularly, so that you can confirm that your plan is working and confront any issues head-on. You can use your tests as a tool for motivation, too. Do ensure that you check in with your doctor as you make lifestyle changes, and be sure that you ask for guidance and clarification. He or she will be able to provide you with specific instructions for your unique situation, and it’s possible that other resources such as smoking cessation, medically supervised weight loss, prescription drugs, and specifically tailored exercise programs may be available. Take advantage of these and you’ll be surprised at how quickly you reach your goals.